After I posted last week about making Lentil Walnut Burgers, Kier mentioned Lentil Sloppy Joes. Um, brilliant! I love Sloppy Joes! In fact, I am a huge fan of most anything that is sweet but spicy and tomato-y and I have been craving tomatoes like crazy lately. My mom has this theory that eating tomato-based foods makes you happy. Maybe that’s the case, then again, maybe it is just the breads, pastas, and cheeses that often go with them that make us happy? Either way, I decided that this was a go. After sorting through dozens of real and fake Sloppy Joe recipes, I decided to base mine on Meatless Mama‘s version, it sounded wonderful; I can’t believe that I hadn’t thought to make these before! These faux Sloppy Joes totally hit the spot. Upon tasting them, I immediately knew that they would be in permanent rotation on the Duke’s House menu. They were quick, easy, and even got meat-loving Chris’ seal of approval. * Huge win! *Chris did note that I failed to include his favorite ingredient, Sriracha, and recommends adding a few squirts if you are so inclined. Combine lentils, water, onion, garlic, green pepper, and bay leaf in a large pot. Simmer for 20 minutes until lentils begin to soften, then drain water from pot and remove bay leaf. Stir in remaining ingredients and simmer for approximately 10 minutes longer. 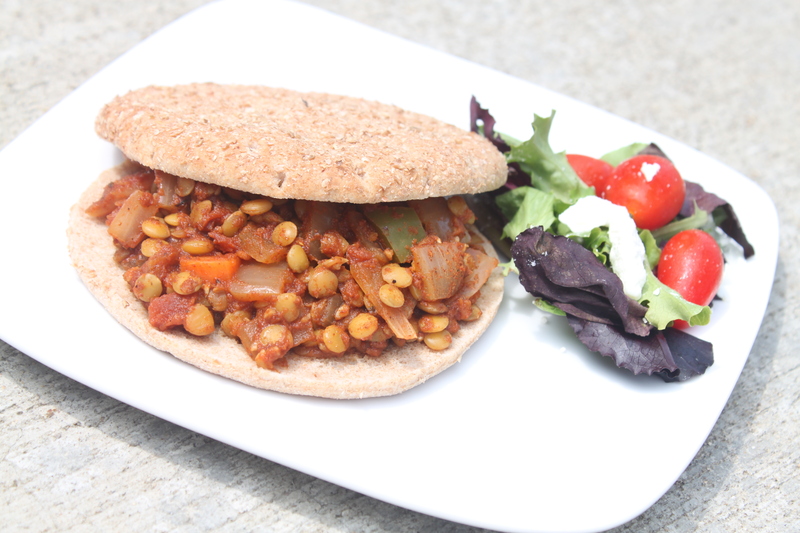 Serve on hamburger buns or sandwich thins as a sandwich, as a burrito, or over rice or quinoa. Have your feelings about a particular food ever done a complete 180? I feel kind of weird about this, and I don’t want to gross anyone out since so much of this blog is about food, but I don’t think I can eat eggs ever again. Or at least not for a very long time. No, I didn’t read some crazy book about eggs being evil. I just had a traumatic egg experience. One night last week I was making one of my favorite and most frequently eaten weekday dinners which consists of five egg whites scrambled with spinach and cheese and a huge mound of steamed broccoli topped with hummus and barbecue sauce. [Don’t judge.] I had separated four eggs and was working on the fifth when I noticed that it was super runny. Like not normal runny. Like water running through my fingers. I had already contaminated the first four egg whites, so I tossed them all and started over. I was sure that it was happening again, more runny egg white, but I convinced myself that my mind was just playing tricks on me. I agreed. I had been trying to tell myself that I was just paranoid, but after two bites I just couldn’t do it. Runny or not, one of my favorite dinners, the incredible, (in? )edible egg was ruined. I’m sure that I’ll come around eventually, but for now, no can do. I’m not usually a picky eater or even the least bit squeemish about food. 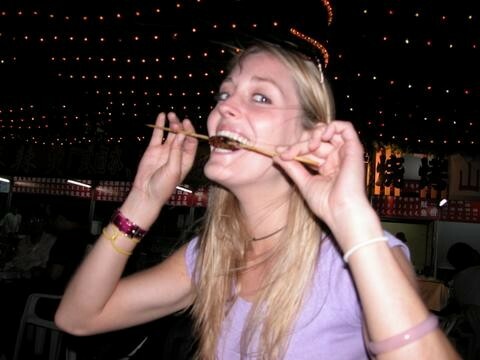 After all, I was the girl that happily ate silk worm in China. In fact, I would eat the silk worm again, but I will not eat an egg. Ok, that is a weird story about a weird dinner, but what’s the point? When I decided that I wanted lentil burgers for dinner on Sunday night, I realized that my go-to binder was egg. I still couldn’t fathom eating egg in any form, so my experimentation with flax egg began. I’ll call this one a win! No egg required. I may try it with some diced onion in the mix next time for an extra bit of flavor. Prepare lentils according to instructions on package. While the lentils are cooking, mix 4 tbsp ground flax with 3/4 cup water to make a flax binder for the patties. Refrigerate the flax while the lentils are cooking to set it into a thicker consistency. Use a spoon to combine lentils, flax binder, crushed walnuts, salt, and pepper in a large bowl, crushing the lentils slightly as they are mixed. Add bread crumbs, stirring by hand, until the mixture stiffens. Hand form eight hamburger sized patties and place on baking sheet. Bake for ~25 minutes or until patties are set and lightly browned. Saturday morning Chris and I gave meal planning another go. We tore pages out of a stack of cooking magazines to create a queue of recipes that we would like to try. Before heading to the grocery store, I selected a few recipes to try this week that had some common ingredients and made my grocery list. Some of the key overlapping ingredients were sweet peppers, scallions, parsley and cilantro. I started my grocery shopping by hitting up my two regular grocery stores. Things were looking good. After the first store, nearly 75% of my grocery list was checked off. By the time I got to the checkout of the second store, I realized that I might have to stop at store #3 to get the last few ingredients that weren’t available at the first two stores. Keep in mind, the missing ingredients weren’t odd grocery items by any means: cilantro, parsley, and bean sprouts. No big deal. I had a few recipes to make over the weekend before I needed the remaining ingredients. Surely the grocery stores had received new produce and restocked those empty produce bins by now. Nope. Soon I’m going to have to figure out what to do with all of the other ingredients that I bought for my recipes. So much for meal planning. Psssht. Grate zucchini on large holes of box grater onto clean kitchen towel. Sprinkle zucchini with salt, then let stand for 30 minutes to sweat the zucchini. Pre-heat oven to 375 degrees and line a baking sheet with foil. Wrap zucchini in towel and squeeze out as much liquid as possible. In a medium bowl, combine zucchini, green onions, dill, mint, garlic, lemon peel, and black pepper. Gently stir in panko and egg, then feta. Lightly coat hands with olive oil to prevent patties from sticking. Using 2 tablespoons zucchini mixture for each, shape mixture into 1 3/4- to 2-inch-diameter patties and place on baking sheet. Bake keftedes for about 25 minutes, flipping halfway through, or until firm. 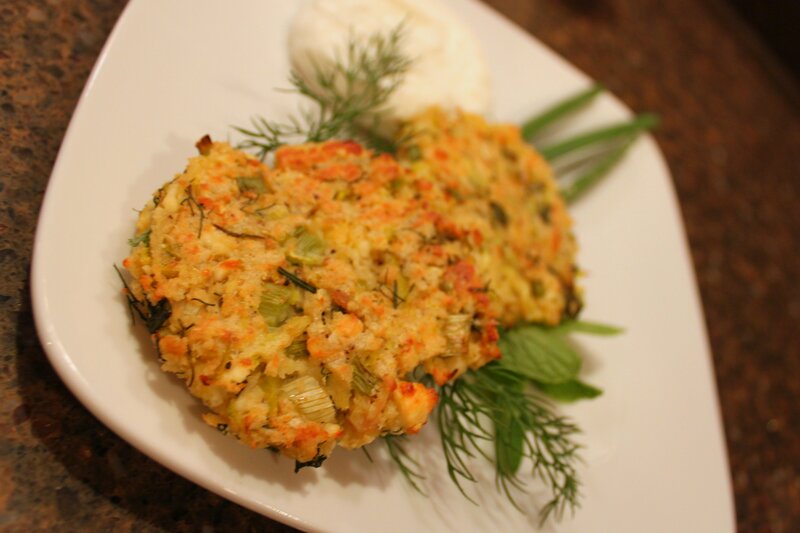 Serve keftedes warm or at room temperature along with Greek yogurt. Unlike Shelby, I am a huge fan of meat-alternative burgers. So much so, that I have made my own on a few occasions. Friday night, I was feeling a little crazy so decided to branch out from bean burgers to lentil burgers. I can’t believe that I had never tried them before. Pure awesomeness. If you think you don’t like meat-alternative burgers. Try these. 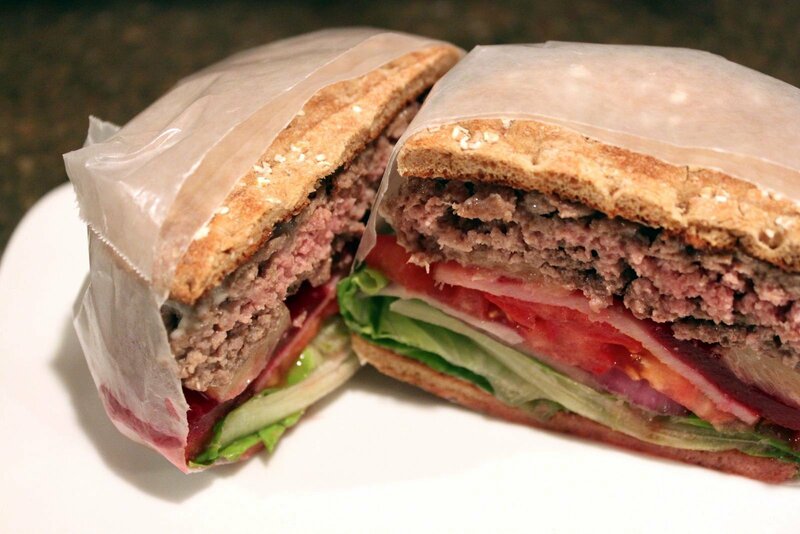 Even if you are a diehard carnivore, give these “burgers” a chance. After polishing off our first half-batch of Lentil Burgers on Friday night, I hadn’t had enough so I made another half-batch on Saturday night. That still wasn’t enough, but I was out of lentils so I branched into Split Pea Burgers on Sunday, which were equally amazing and a pretty shade of green to boot. In retrospect, all of these meat-free burgers may not have been as awesome for Chris as they were for me. It was pretty poor judgement on my part to feed him legume burgers all weekend. I failed to remember that he was headed to India on Monday where his carnivorous self will probably have the pleasure of eating more than enough meat-free meals. Sorry Chris! If you mention that you read this I promise meat on Saturday night! 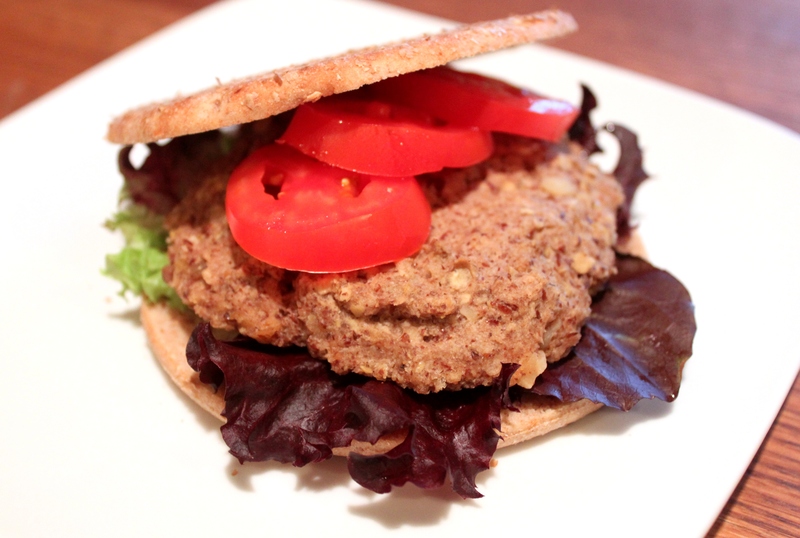 One final proclamation for the gloriousness of the Lentil Burger: These things area really easy to make. As in I had the energy to make a batch after our 18-mile run on Saturday. Yes. That easy. There is a chance that we will be eating these nightly until marathon training is over. Chop onion in food processor. Add lentils, eggs and salt to food processor, then purée until fully combined. It is ok to have whole lentils. Pour into a mixing bowl and stir in the breadcrumbs, then let sit for a couple of minutes so the crumbs can absorb some of the moisture. Adjust the dough texture by adding bread crumbs, water, or more egg as needed. Form the mixture into twelve patties. Heat a heavy skillet over medium low, spray with olive oil, add 4 patties, cover, and cook for 7 to 10 minutes, until the bottoms begin to brown. Turn up the heat if there is no browning after 10 minutes. Flip the patties and cook the second side for 7 minutes, or until golden. Remove from the skillet and cool on a wire rack while you cook the remaining patties. During my last “real” summer, my dad decided to take my family to Australia for a month. Our typical vacation style was in a station wagon, an SUV when I got older, à la Griswold, so it was no surprise that his game plan was to rent a motor home and go for a month-long drive Down Under. We had many adventures on that trip, like off-roading in the motor home which resulted in getting it stuck in a river, crashing the motor home into a giant eagle, and having more flat tires than one should expect to repair over 30 days. Thankfully, we survived the trip, learned a lot, and had a great time. You can use the “grey water” hose from your RV as a snorkel for the tail pipe when you are trying to get the RV unstuck from a river. Road trains are real and can be six trailers long – move over! Those “towns” on the map of the Outback…yeah, those are just roadhouses. Hitting an eagle (his fault, not ours) will bust up your windshield big time. The longest fence in the world resides in the Outback, a 3488 mile long dingo fence to help keep the dingoes away from the free range sheep. When you are calling around in the middle of the night looking for someone to fix your windshield, it is helpful to know that they will have no clue what you are talking about unless you refer to it as a wind screen. One spare tire is never enough. The roadhouses serve awesome burgers. See below. Before you get started, stage your fruits and veggies. Slice the tomato and onion. Drain the pickled beet and pineapple so you don’t make your bread soggy. Ok, now get ready to multi-task. 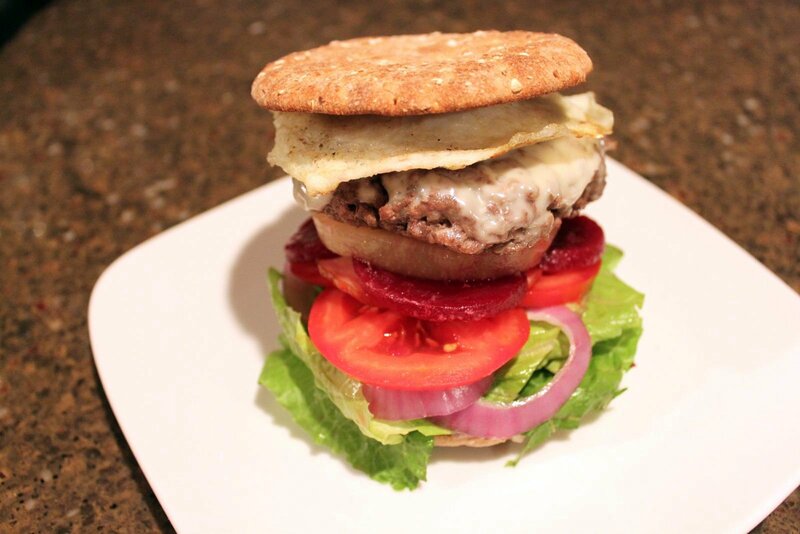 As the burgers are cooking, you will brown one slice of Canadian bacon per burger, cook one egg over-medium per burger, toast the buns, and top the burgers with cheese. After starting the burgers, begin cooking the eggs. When you have your eggs started, move on to the Canadian bacon. You want it lightly browned on both sides. Set your oven to broil and begin to toast the sandwich thins. Continue juggling the eggs, buns, bacon, and burgers until you are ready to assemble your sandwich. Take a deep breath, this was hectic, but we’re almost there! Spread mayo on the top side of each bun. Building your sandwich from the bottom up, I recommend this order for maximum flavor and minimum tipping: bottom bun, romaine, onion, tomato, bacon, beets, pineapple, burger, egg, top bun. At the very least, make sure that the egg is on top so that the yolk will soak into the top bun when you bite into it. Your burger now looks like the Leaning Tower of Pisa. I recommend wrapping it in wax paper (Taylor Ham and Cheese style if you’re from New Jersey) and cutting it in half through the paper. Finally, a manageable looking sandwich! *Egg left off of this burger for the sake of the picture. Runny egg yolk would not exactly have enhanced this photo! This week is a refrigerator clean out week at Duke’s House. Everything (perishable) must go! This should make for some interesting meal combinations. I decided to tackle the cabbage first because it is least likely to be eaten on its own, and most difficult to come up with creative uses for. Black Bean and Cabbage Burgers are a winner in my book, both in terms of being a great faux burger and an excellent use for cabbage. I’m taking ideas to use the rest of this stuff in the next 2 breakfasts, 2 lunches, and 3 dinners. I do not have a solid meal plan in place. I am toying around with taboulli, fish tacos, peanut butter cheesecake mousse, and maybe Curried Lemon Quinoa with Avocado, Craisins, and Raisins. Then again, I like to try new things. If you have any suggestions, let me know! 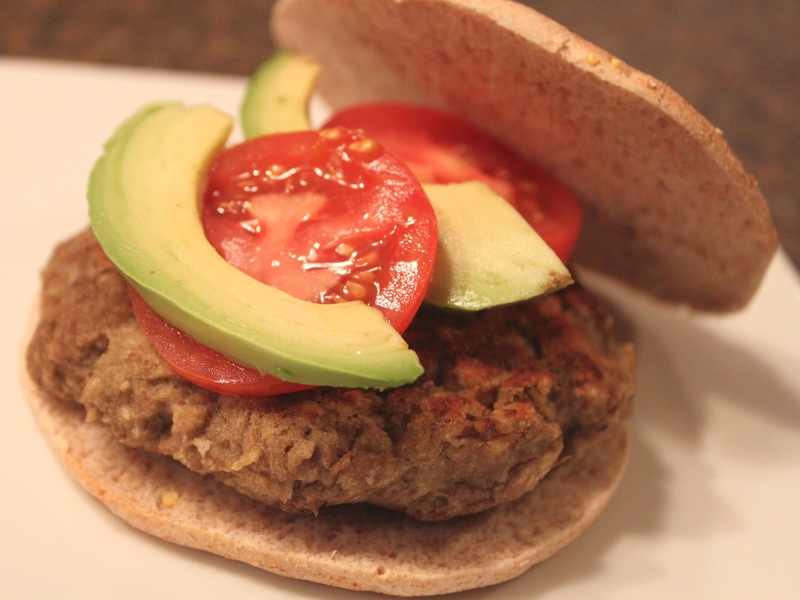 These burgers held together fairly well, especially the leftover ones and they tasted great. 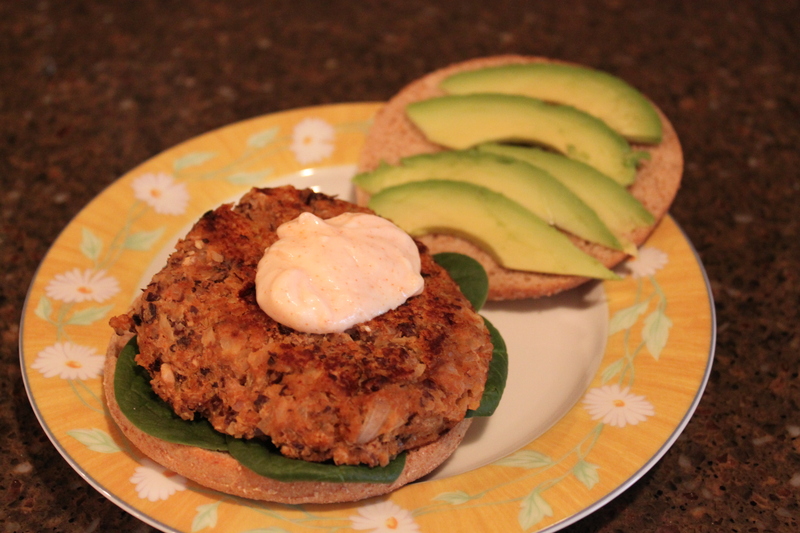 I ate my “burger” on a sandwich thin with spicy sour cream, avocado slices, and spinach. Chris destroyed his cut his up and ate it as a burrito (as he does with most foods) stuffed with hot sauce, sour cream, raw cabbage, and avocado. Adapted from The Portobello Kitchen. Sauté the onions and garlic in 1 tbsp yogurt butter. When the onions begin to turn transparent, add the finely sliced cabbage and diced apple. Add the red wine vinegar and the honey to sweeten. Braise on a low heat until the cabbage is soft, around 20 minutes. In a food processor, add the black beans, braised cabbage, the egg, Tapatio, chili powder, and tomato paste and process until well combined. Stir in bread crumbs gradually until mixture reaches desired consistency. Form into patties with your hands. 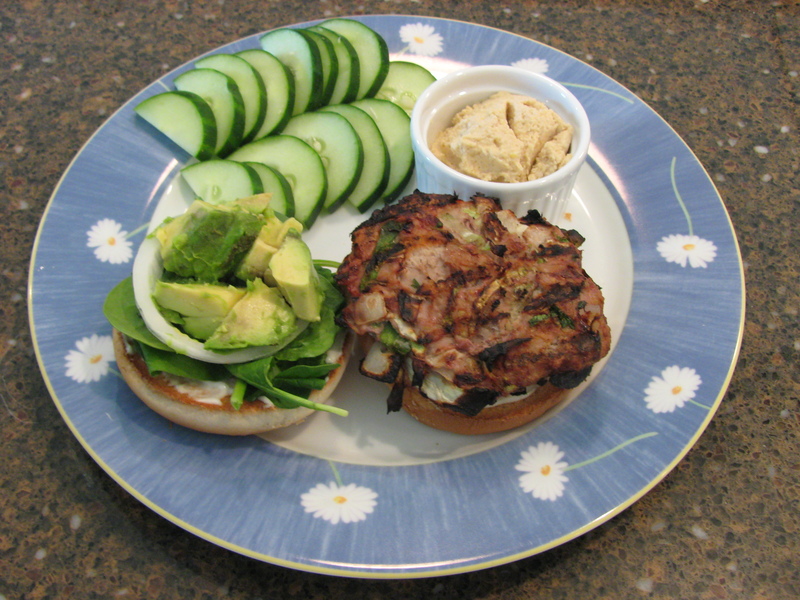 I served this with a spicy sour cream, spinach, and avocado slices on a whole wheat sandwich thin.